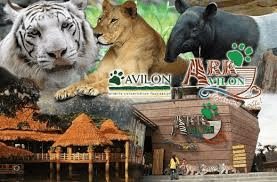 Avilon Zoo is a 19 acre facility located In Rodriguez, and currently the largest zoological institution in the Philippines in terms of land area and collection of animals. Rizal houses more than 3,000 specimens of exotic wildlife representing more than 600 species of birds, mammals, reptiles, amphibians, freshwater fishes and invertebrates. We found Avilon Zoo the best in the country. It is about an hour from Manila and well worth the trip though. The operator of Manila Zoo should attend a seminar from the staff and management of Avilon Zoo on how to properly manage a zoo. 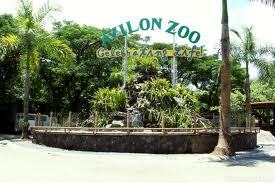 Avilon Zoo is much bigger but it is way much cleaner. The animals at Avilon have pretty spacious and clean habitas, every animal looked healthy are very well fed and it looked after. Detailed info and even signs promoting conservation of crocs. The Zoo aims to be one of Southeast Asia’s premiere wildlife facilities. A well worth while destination for family’s and kids also..